W.J. 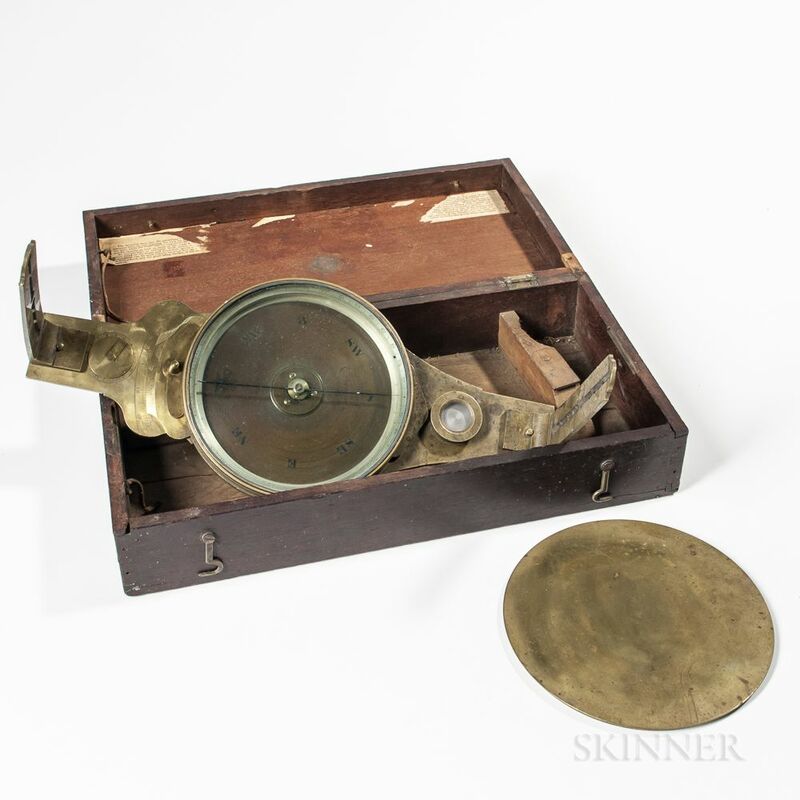 Young Vernier Compass, Philadelphia, Pennsylvania, c. 1830-40, original lacquered brass instrument with 6-in. dia. dial marked "W.J. Young/Philadelphia/Patent," blued-steel needle with needle lifter on underside, vernier adjustment knob and locking knob on underside, single level, outkeeper, and sighting vanes, all housed in the original fitted box.